SIBELIUS FESTIVAL 2019 TICKETS ON SALE NOW! 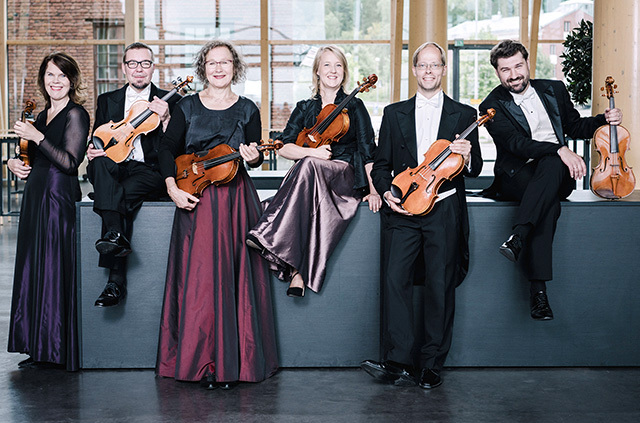 The Lahti Symphony Orchestra’s 20th International Sibelius Festival will take place at the Sibelius Hall in Lahti from 5–8 September 2019. The thematic concepts for this jubilee festival are songs and stories, and the festival’s artistic director is Dima Slobodeniouk, principal conductor of the Lahti Symphony Orchestra. Ticket sales begin on Monday 14 January 2019 at Lippupiste outlets and online, and from the Sibelius Hall box office. A recording by the Lahti Symphony Orchestra gained a prestigious BBC Music Magazine Award in the concerto category in London on Thursday 5 April 2018. The surround-sound hybrid SACD recording on the BIS label (BIS-2206 SACD) contains bassoon concertos by Kalevi Aho and Sebastian Fagerlund (Mana). The soloist is the Dutch bassoonist Bram van Sambeek, and the orchestra is conducted by its current and former principal conductors, Dima Slobodeniouk (Aho) and Okko Kamu (Fagerlund). The disc also features Fagerlund’s solo piece Woodlands, written at the same time as his concerto, and Aho’s dramatic Solo V.